Short, fine on head; silky, flat, or slightly wavy on body. 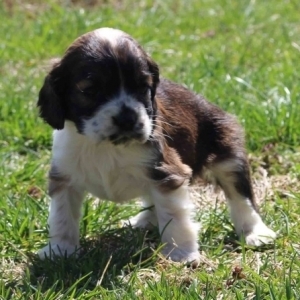 Cocker Spaniels come from Spain, and were originally bred to hunt gamebirds. 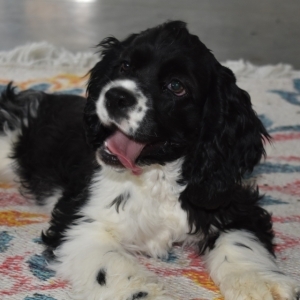 These dogs have beautiful, silky hair and a happy, sweet disposition that makes them excellent family dogs. 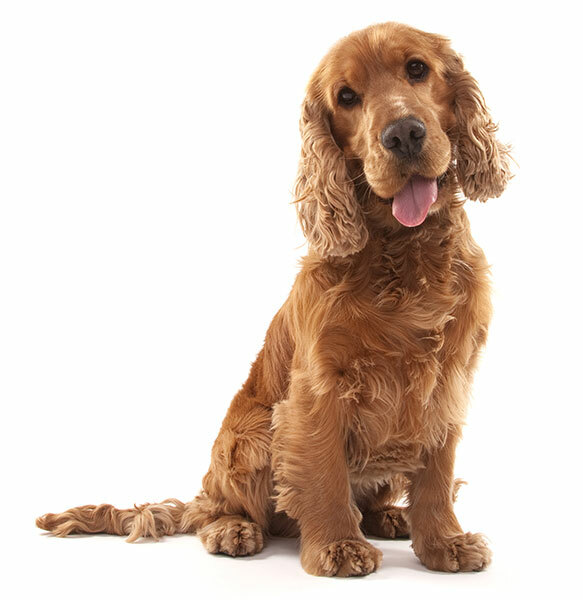 Cocker Spaniels are incredibly gentle, and are a perfect mix of docile and playful. 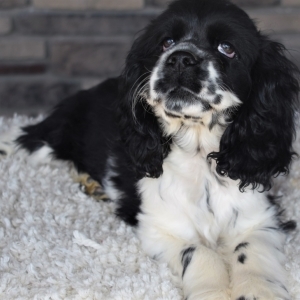 Medium-small in size, the long, fluffy ears and large, kind eyes of a Cocker Spaniel give it an adorable, warm look. These dogs would do well in an apartment or in a larger home. Following the Cocker Spaniel's role as the female lead in the Disney movie Lady and the Tramp, the Cocker Spaniel was the number-one breed registered with the AKC from the late 1930s to the 1950s. It is the smallest of the Sporting Dogs group. 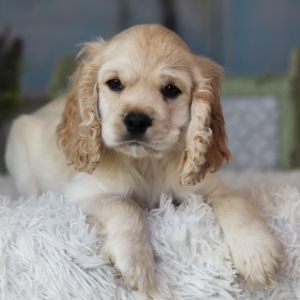 The Cocker Spaniel originated in Spain in the 1800s.